It is not too late to start preparing your maple sugaring supplies and Tap My Trees has the perfect solution for you and your family. 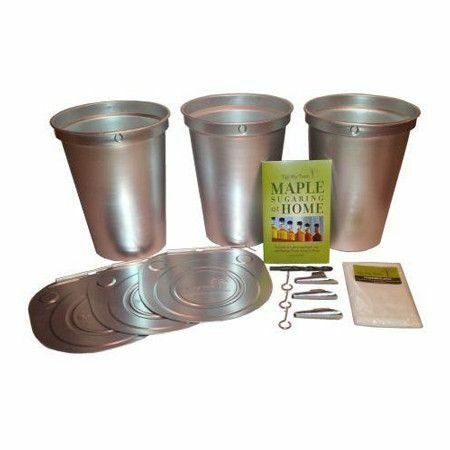 They have a Starter Kit with Aluminum Buckets which they have given to the Crew to explore and prepare for this years maple syrup collecting. 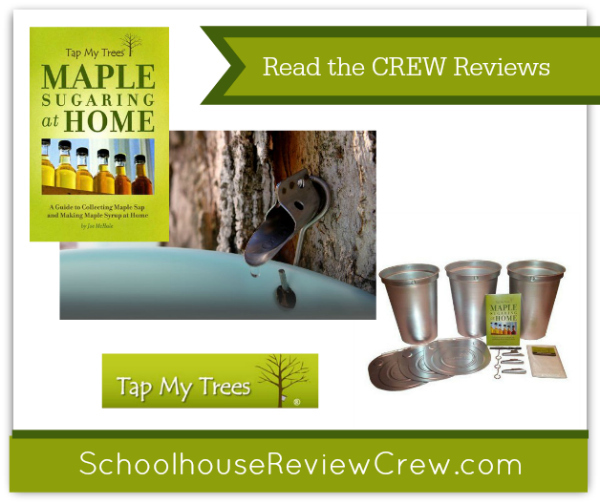 The goal of Tap My Trees is to encourage families to tap healthy, mature maple trees at home. With this all in one kit you will be fully equipped to tap your tree and turn that beautiful sap in to maple syrup. 3 Aluminum (2 gallon) Buckets: Bucket is used to collect the sap as it drips from the spile. Made from aluminum with reinforced hole to hang bucket. 3 Metal Lids: Lids prevent rain, snow, and foreign material from entering the bucket. 3 Hooks: Hooks are attached to spile and used to hang the bucket. 1 Drill Bit: 7/16 drill bit with 3/8 shank used to drill tap hole into your maple tree. Cheesecloth: Used to filter any solids (such as pieces of bark) when transferring sap from the collection bucket to a storage container. Everything arrives packaged in one box and is individually wrapped. All the items you will need to collect sap are included, except for a cordless drill and the tree! This high quality kit will last you years to come. 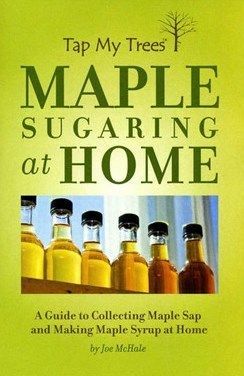 MAPLE SUAGARING at HOME is your all in one guide to support your maple sugaring at home. In this manual you will find out how to identify which of your trees are ready to be tapped. It explains what supplies you will need and how to use them. The manual explains how to tap your trees, collect the sap, boiling sap to make syrup and how to know when the season has finished. It’s a gold mine of information at your finger tips. Walnut and Birch trees can also be tapped. For most areas, the sugaring season is in February and March. Do not delay there is still enough time to get your kit and prepare for the upcoming maple sap collecting from Tap My Trees. Thank you to Chareen @ Every Bed of Roses for this introduction to Tap My Trees.